Switchon Light is our very own brand name for our highly esthetic and well performing light and photo units. Switchon Light Illumination units are well equipped LED-lights with high performance cameras with an easy-to-operate electronic control. 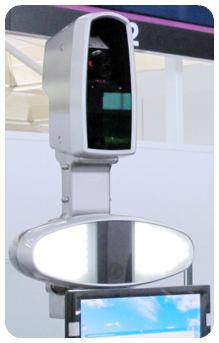 The SLI-units are especially suitable for face recognition purposes and are intended to be integrated in professional systems for image capturing, ID-card installations and such. As an extension to our SLI-units we also deliver SLTC-units with both CCTV cameras and 3D imaging TOF (Time of Flight) cameras for estimating body volume. Together these units can operate in gate areas to provide security information and enhanced control.